Custom Designer Garden Tidy. This item looks fantastic in any garden and helps with storage. This effect can be created from scratch or applied to an existing cabinet or table. 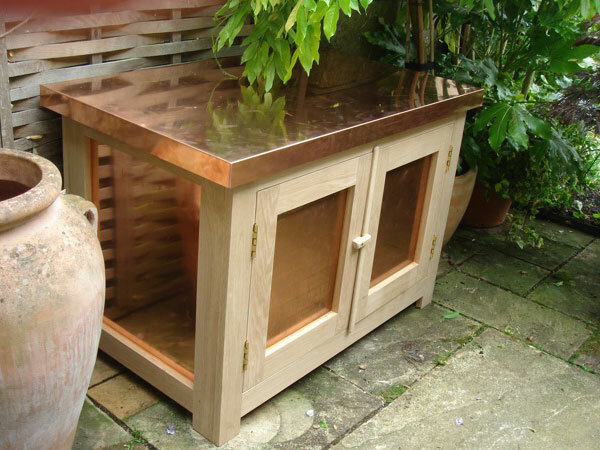 The material used here is Copper however we specialise in a range of materials that could also be used.